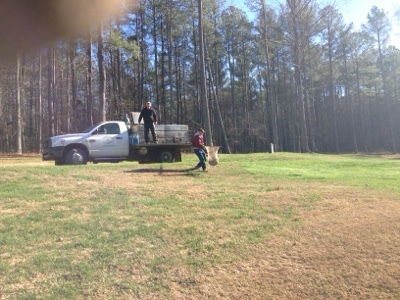 Fertilizer application to the rye grass. 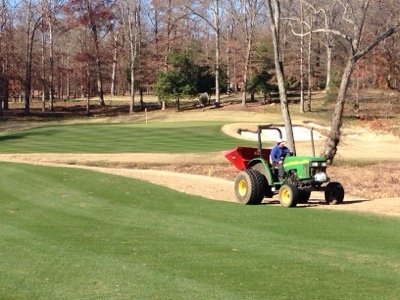 We apply a small dose of .25 lb of nitrogen per 1000ft2 every 14 days until December. 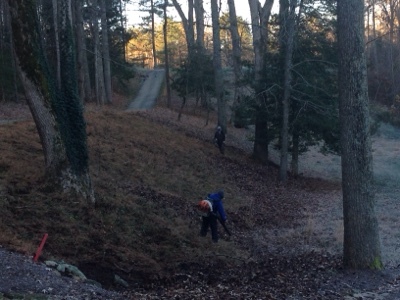 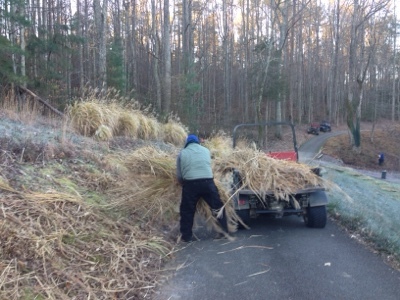 Cutting down ornamental grass around the course.